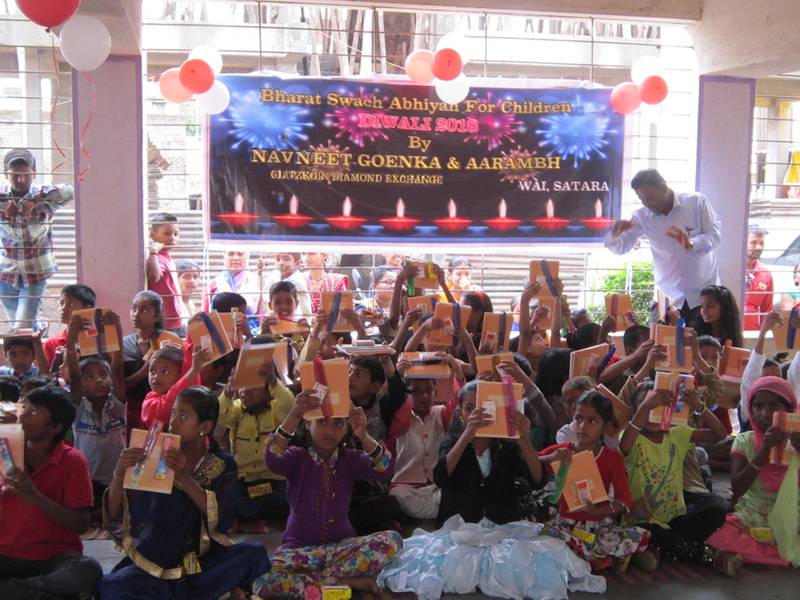 Navneet Goenka second generation diamond veteran and CEO of the Glitzkoin blockchain project, sponsored the Divali event for needy children in a remote village of Satara (India). 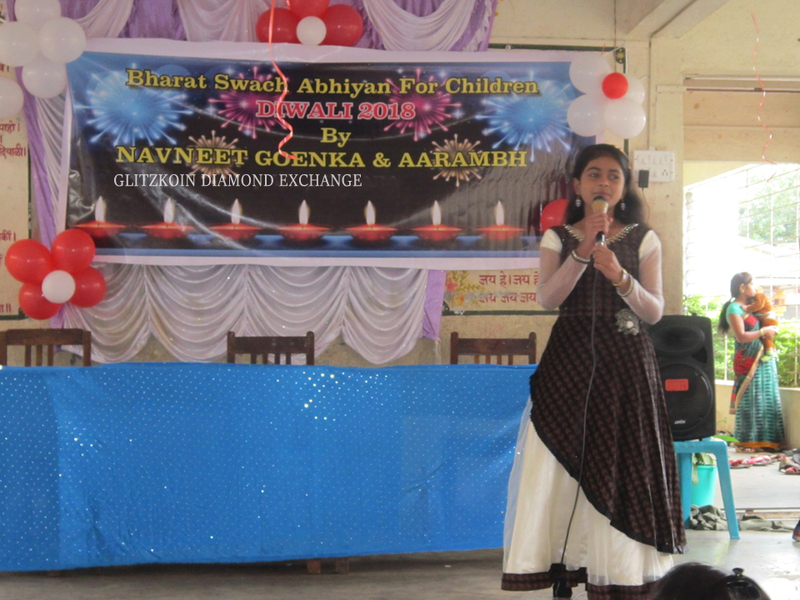 Aarambh (NGO) has done a tremendous job in the village of Wai, the Glitzkoin CEO decided to work with Aarambh to organize an event to celebrate the festival of lights. The event was organized in a government run school for children who, are unable to afford to go to private schools. Divali is the festival of lights and brightness, sadly this is not the case for millions of villagers who lead a hand to mouth existence. The event in the Wai village, was organized to let the children enjoy their share of the festivities. The little ones preferred to have their favorite snacks rather, than eat a regular meal – Aarambh volunteers carefully handpicked the menu. Wafers, cream biscuits, samosas and plenty of ‘Frooti’ juice. 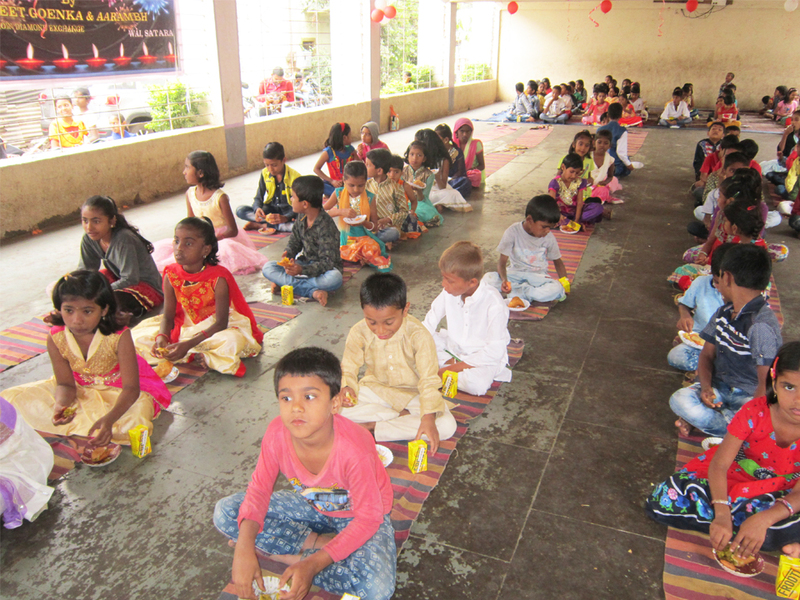 The kids enjoyed the snacks and their attention, soon shifted to the gifts that had been lined up for them. With the kids in a cheerful mood, the Aarambh team planned out a short lesson on personal hygiene as part of the event. After receiving some useful tips on how to keep themselves clean, each kid was given a set of items related to personal hygiene – a comb, a toothbrush, a cake of soap and a tube of toothpaste. The children seemed pleased with these little gifts but, there were many more to come. Talking about the gift selection, Navneet Goenka narrated a short story about his younger days, ‘… my parents always emphasized the importance of education … though it was almost certain that I would enter the family diamond business, I was never allowed to take my education lightly … the gifts selected for the children, do have an educational angle to them …’. 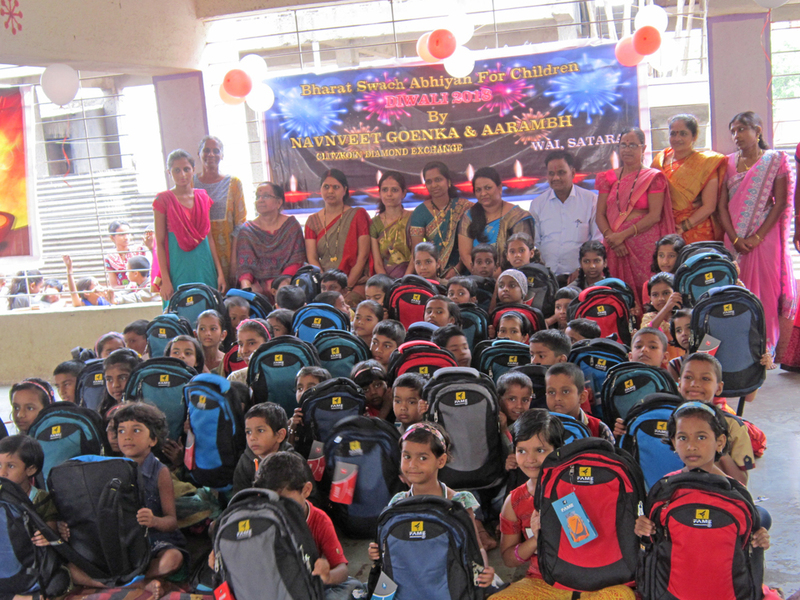 Each kid was given a few note books, a lunch box and a pencil box, all packed in a smart backpack. The children made their way out of the hall, parents waiting outside to pick their kids were pleased to see the smiles on their bright faces. A truly memorable Divali for the little ones, one of the brightest festival of lights that they would remember for years to come. The diamond veteran had this to say about the event, ‘… awesome, we will keep teaming up with Aarambh in the near future to continue such events … I honestly hope that, other companies will find ways to help the lesser fortunate in our society …’.